Esther Eme was born on the 7th of August 1997 to Igbo and Igala Parents in Abuja. She is a graduate of Accountancy from Salem University Nigeria. She is the director of Administration at Gloryfield International Academy, Abuja. 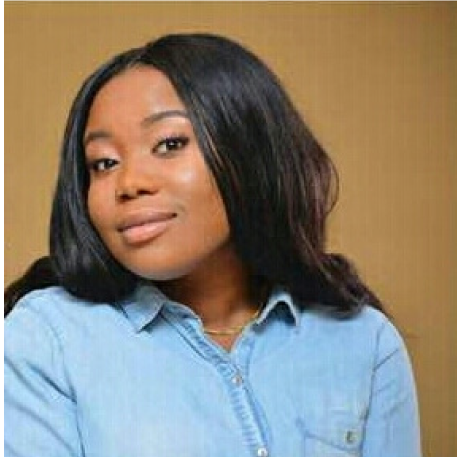 Although she is passionate about finance and management, she realized much earlier on that she is more passionate about human beings, this discovery led her to dedicate most of her time, with the aim of having her life spent to empower women and youth to get involved in national development through standard education or skill acquisition. She spends her time volunteering for several non-profits and participating in projects that seek to develop other human beings and their communities. She sings at her local youth church. She frequently participates in visits to prisons, schools, orphanages, widows and Internally Displaced Persons Camps. She is a Christian and her favorite book is the Bible.